Nigerian Hip Hop Emcee "MCskill ThaPreacha" has been on a roll this year releasing back to back mixtapes and singles. 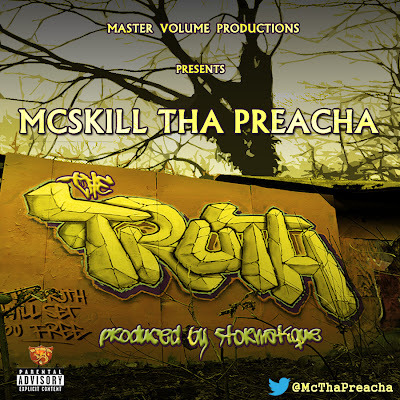 The Emcee who has been compared with Hip Hop Icon "KRS-One" many times is back with a fresh record, its titled "The Truth" and its produced by "Stormatique". If you love conscious Hip Hop then this should definately be on your playlist.